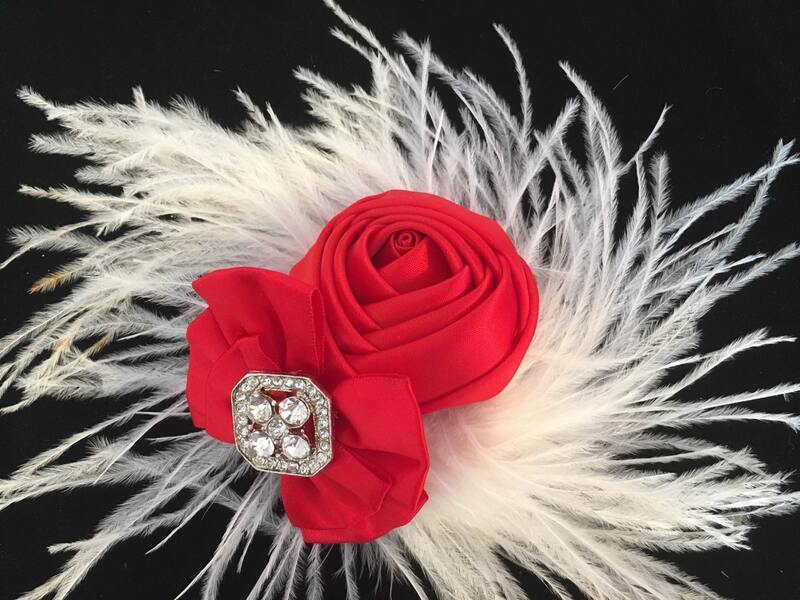 Holiday Red and White Feather Hair Fascinator Hairpiece. Bridal Hairpieces, Dance Competition Hair pieces, Holiday Fascinators. 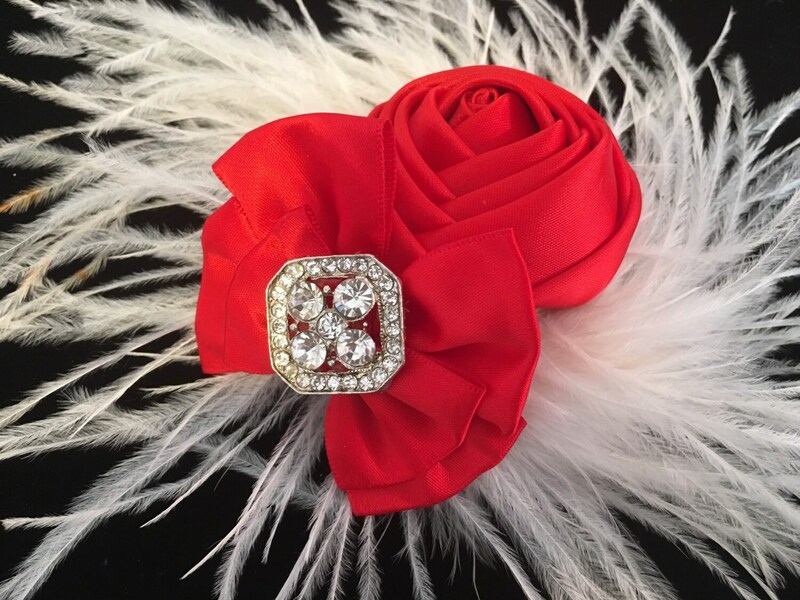 Fancy Girl BoutiqueNYC customizes all styles and colors.